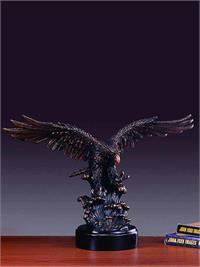 These lovely figurines and statues are finely crafted and finished. 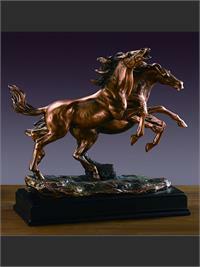 Resin cast, then processed with a patina copper plating finish that looks like bronze without the cost. 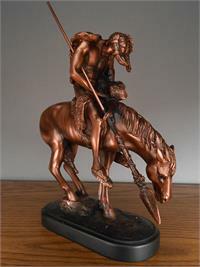 Available in a variety of animals including Eagles, Horses, Wolves, Bear, Buffalo and Old West figurines depicting people. Whether you're looking for a decorative accent for your home or a gift for any occassion these quality figurines will be perfect. We carry a large selection of gift items, jewelry and clothing in our store located at 504 Allen Street in Tombstone, Arizona. If you do not see what you would like to have here please call (520) 457-3335 during our normal business hours and we will be glad to help you. These figurines are not available for overseas/international shipping except by telephone order due to their weight. The international shipping chart does not apply to these items. 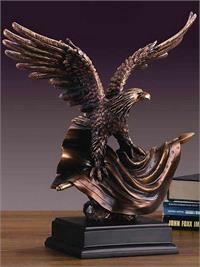 Finely crafted, realistic, resin cast, copper plated. Available in three different sizes. Resin cast copper plated with a bronze look figurine. 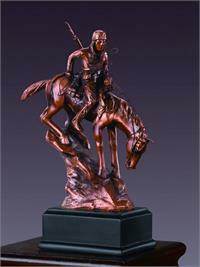 14"W x 15.5"H.
Resin cast copper plated with a bronze look figurine. 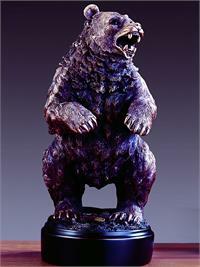 21"W x 12.5"H.
Finely crafted, resin cast bronze look bear figurine. 3.5"H x 5.5"W.
Finely crafted, resin cast. 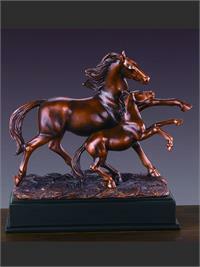 Copper coated bronze look figurine. 4"W x 7"H.
Finely crafted, resin cast. 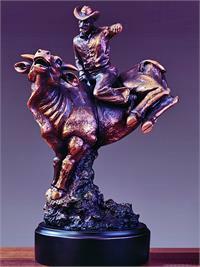 Copper coated bronze look figurine. 10"W x 9"H.
Finely crafted, resin cast. 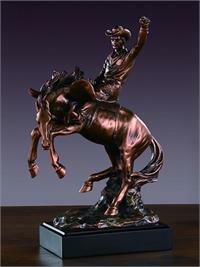 Copper coated bronze look figurine. 8.5"W x 8.5"H.
Resin cast, copper plated figurine. 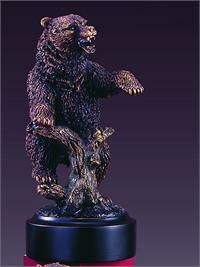 5"W x 7.5"H.
Finely crafted, resin cast bronze look figurine. 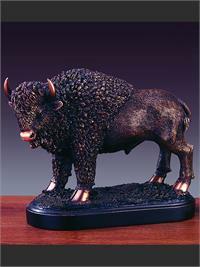 18"H x 14"W.
Finely crafted, realistic, resin cast, copper plated. 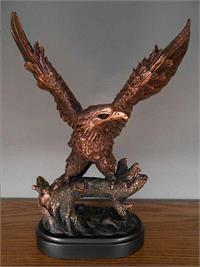 5.5"H x 3.5"H.
Resin cast copper plated with a bronze look figurine. 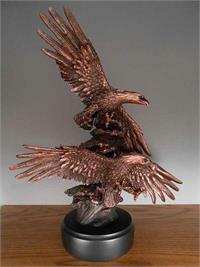 12.5"H x 7"W.
Resin cast copper plated with a bronze look figurine. 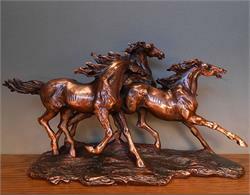 13"H x 11"W.
Finely crafted, realistic, resin cast bronze look horses. 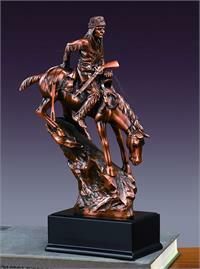 18"W x 10"H.
Resin cast copper plated with a bronze look figurine. 6"W x 13.5"H.
Finely crafted, resin cast. 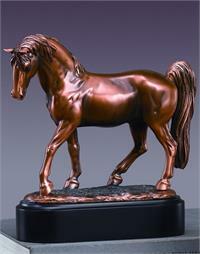 Copper coated bronze look figurine. 7.5"H x 5.5"W.